Gay Surrogacy is illegal in Armenia to gay intended parents pursing parenthood. Our elite surrogacy specialists in Mexico and the US are ready to help you build a family in a safe and secure environment. 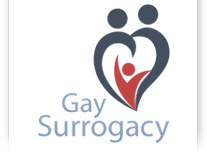 Our dedicated team of experts in Mexico ad the US support gay surrogacy wholeheartedly believe that everyone should have the opportunity to build a family and are committed to eliminating high costs. Surrogate mom has no legal right over baby if she is not the biological mother. If surrogate mom is also the biological mother of baby, she can choose to put an end to the contract by reimbursing all compensations taken by her. But intended parents will have to bear all expenses related to fertilization and pregnancy and these are not reimbursable.